About 61% of American households have pets. Last year, American pet owners spent nearly 70 billion dollars on goods and services for their pets. If you’ve got a pet, chances are good that you consider your pet an important part of your family. So it’s not surprising that when it comes time to make homebuying decisions, pets matter. America loves pets. About 61% of American households have pets. But keeping pets in apartments or other rentals isn’t always easy. 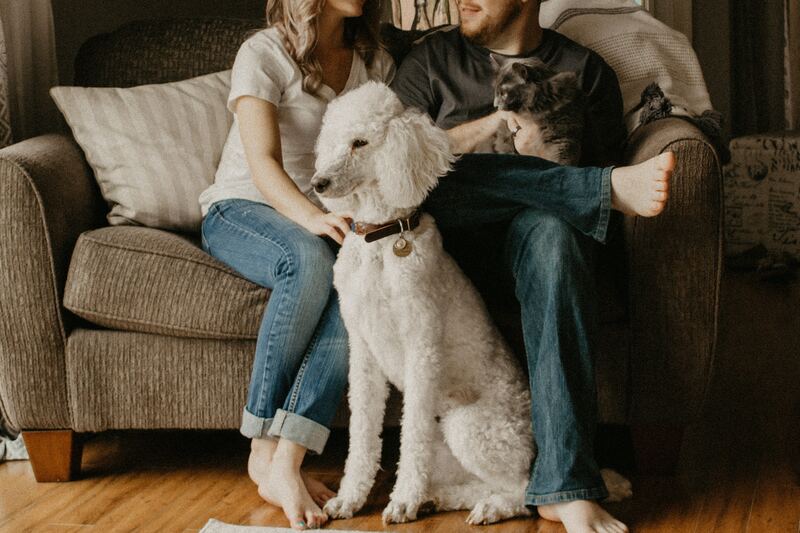 So it’s not surprising that homeowners are more likely to own pets than non-homeowners: according to a survey of recent homebuyers conducted by Realtor.com, 80% of homebuyers have pets. When it comes to what kind of pet, you could say that most American homes have gone to the dogs: two out of every three pet-loving homebuyers has a pup under their woof roof. But while dogs may be the most popular per choice for homeowners, cats aren’t far behind. Two out of every five homeowners have at least one cat, presumably napping in sunny spots and perching on high shelves in their homes. Don’t forget other pets, too: while cats and dogs are the most popular kinds of pets in America, they aren’t the only animals homebuyers are keeping as companions. 12% of homebuyers share their roosts with birds. And 11% sleep with the fishes—or rather, sleep under the same roof as their pet fish. 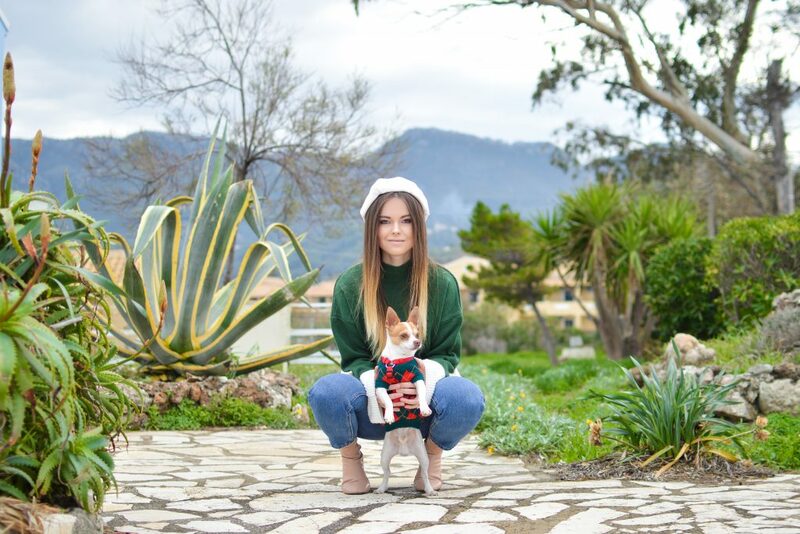 While homeowners of all ages love their animal companions, young homebuyers really, really love their pets: a whopping 89% of homebuyers between the ages of 18 and 34 have a pet. Only 63% of homebuyers over the age of 55 share their homes with an animal. Only 57% of childfree homebuyers have pets to look after. When choosing a house to buy, almost all pet owners consider the needs of their pets. Pets are a part of your family, after all. 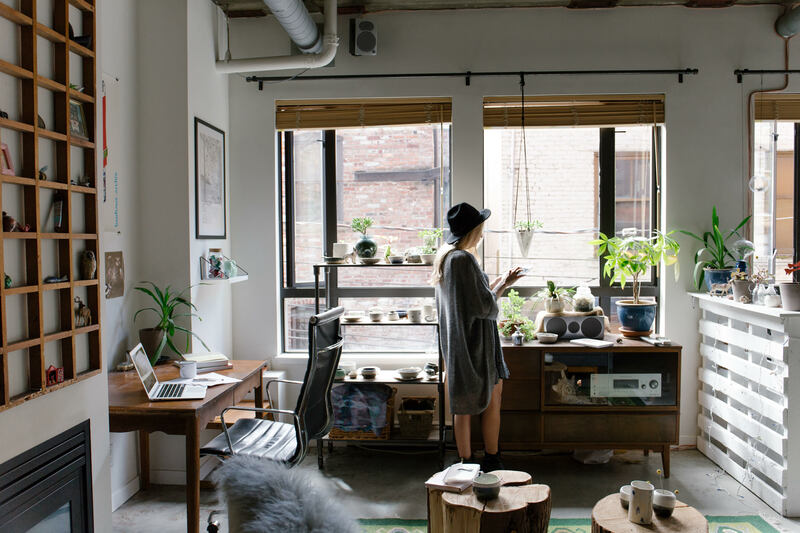 91% of homebuyers 18-34 years old and 90% of homebuyers aged 35-54 reported that their pets’ needs were important or very important to their homebuying decision-making process. Three-quarters of surveyed homebuyers said they’d pass on an otherwise perfect home if it wasn’t a good fit for their pets. 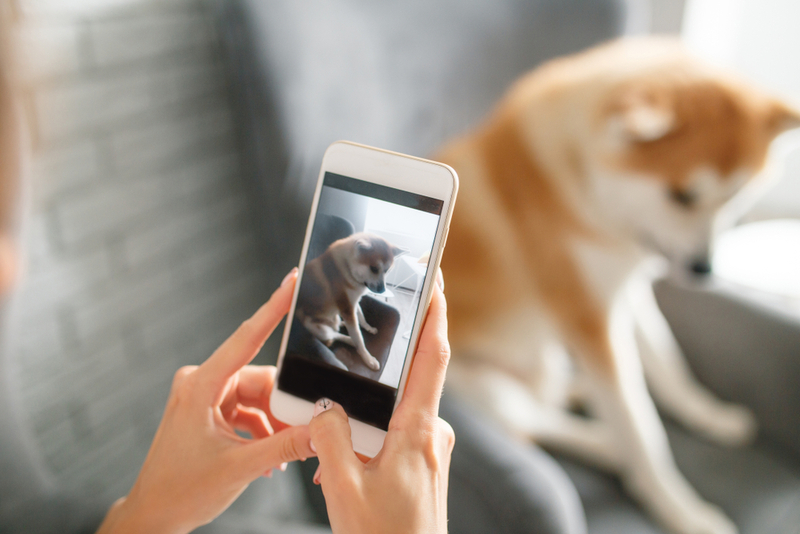 And while pet owners across the board were committed to considering their pets’ needs during their home search, the most committed pet owners might surprise you. 90% of dog owners and 87% of cat owners said their pets’ needs were important or very important. But the homeowners who were most concerned with their pets’ wellbeing during their home searches? Reptile owners: 98% of whom ranked suitability for their scaly friends as important or very important when choosing a home. So What Do Pet Owners Look For in Homes? When choosing a home, pet owners’ wishlists vary a bit based on the specific needs of their pets. But the most popular must-have for pet-owning would-be homeowners is a big yard—45% of homebuyers with pets wanted one. Other sought-after amenities included outdoor space (36%) or close proximity to outdoor space (25%); a garage (33%) for litter boxes, bins of kibble, and other pet accouterments; and pet-appropriate flooring (26%)—the kind that’s easy to clean and hard to damage. Once pet-loving homebuyers find a home, many get right to work on making their homes more comfortable for their furry companions. According to the National Association of Realtors, more than half of homebuyers tackle at least one home renovation project for their pet. The most popular project? 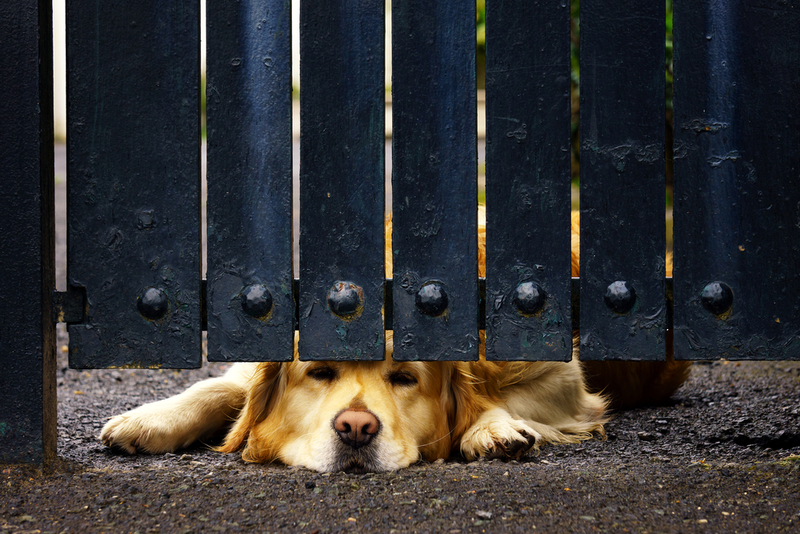 Fencing in the yard—almost one in four pet-owning homebuyers will spend time and money securing the yard’s perimeter. What Should Pet Owners Consider When It’s Time to Sell? The good news: most homebuyers have animals of their own. So the same pet-friendly features you love are probably attractive to buyers with pets as well. All that extra work you did on the fence in the yard could pay off come offer time. That said, signs of damage from animals are a definite turn-off, even for pet-loving buyers. Pet-owning sellers should prioritize cleaning or replacing damaged floors and carpets. Remove pet hair (and pet smells) from every room and surface in your home. And on open-house day, it’s best to take beloved furry friends out of the house entirely. A nice, long visit to the dog park or a stay at the pet groomer’s will ensure that your faithful companions don’t get lost in the shuffle of potential buyers.